The musical history of Haiti is closely tied to the country’s colonial roots as well as the traditions of the slave communities who were transported to Haiti during the colonial period. One of the most unique facets of Haitian music is its close ties to vodou. Despite the government’s attempts to shake the ties of vodou on the culture through its anti-superstition campaigns, it remains a powerful force in Haiti and a central part of many distinctly Haitian music genres. 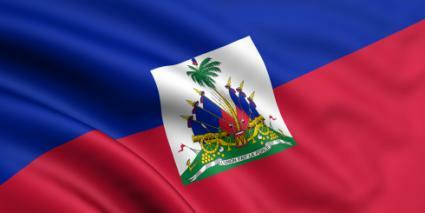 Haitian music is also influenced by the music of its Caribbean neighbors. To understand Haitian music history, it is helpful to understand some main points about the history of the country itself. After a brief time under Spanish control, Haiti became one of France’s Caribbean holdings, and during their time in power, the French brought in large amounts of slaves to work their sugar plantations there. In 1804, Haiti’s slaves staged a successful revolt during which they drove the French forces out of the country. Haiti became the first independent country in Latin America and the first all-black-led republic government in the world. Although the French were driven from Haiti, French culture remained dominant, especially among the upper class. Haiti is the only independent nation in the Caribbean in which French is the official language (along with Haitian Creole). French music, particularly French ballads, were the preferred music of the upper class in Haiti, and the divide between the Francophone music of the moneyed class and the African-inspired music of the less fortunate remains today. These divisions remain, but inevitably, the influences of French and African culture have intermingled in Haitian music throughout the years. Other important influences are the Spanish-inspired music of Haiti’s Dominican Republic neighbors and indigenous music from around the Caribbean, particularly Jamaican reggae and Trinidadian calypso. Compas is perhaps Haiti’s best known musical genre. It is an updated version of the French meringue. Compas originated in Haiti in the 19th century but gained international prominence in the 1950s, when Nemours Jean Baptiste became in an in-demand touring artist in the US and Europe. Compas has also been extremely influential on other music genres in the Caribbean, particularly in Martinique and Guadeloupe, where it evolved into zouk music. A sub-genre of compas known as compas direct eventually developed. Compas direct incorporated Western pop music elements into traditional compas, creating a more mainstream, radio-friendly style. Rara is an example of the combination of music and vodou culture. Rara is distinctly Haitian and only performed between Ash Wednesday and Easter Sunday, after Haiti’s popular Carnival. Though there are recording of rara, it is best known in its live form. During Lent, rara bands wander the streets every night, performing music and voduo religious rituals intended to satisfy their seasonal ritual obligations to vodou spirits. Each band is led in their march by a mamba (female priest) or ougon (male priest) who are said to be possessed by Gede, a voduo god of death and sexuality. A blessing from the rara band is believed to keep the listeners safe throughout the night. Musically, rara bands borrow heavily from West African musical traditions, employing drumming and call-and-response singing. Mizik Rasin is a musical style born from political dissatisfaction among the youth. During the late 1970s, Haiti’s young people were distressed at the country’s direction. The dictatorship of Francois Duvalier had not only caused much internal strife and violence in Haiti, but it also changed the fabric of Haiti’s society. Throughout much of its history, Haiti was a communal country, but under Duvalier, Haiti opened itself more to international trade, particularly with the US, and a more capitalistic, wealth-seeking culture emerged. Mizik Rasin was created as an antidote to the new Haiti. The musicians borrowed heavily from Jamaican reggae in terms of music and style. Bob Marley was the hero of the movement. Using reggae-inspired music, Mizik Rasin included lyrics that praised the values of communal living and peasant life. The movement had a tremendous impact on youth culture. Communes of dreadlocked young people sprang up throughout Haiti’s rural areas. Mizik Rasin itself faded away in the 1980s, but its influence can be heard in subsequent Haitian reggae and rock music. Inspired in part by the success of Haitian-born hip hop star Wycelf Jean, Haitian hip hop became an important musical force in the country starting around the mid-1990s. Haitian rap artists borrow lyrically from the ideals of Mizik Rasin and musically from compas and compas direct, as well as US rap. Though Haitian rap is popular with the country’s young people, few Haitian artists have been able to make an impact outside of the country. These genres are just a sampling of Haiti’s rich musical culture. You can explore modern Haitian music and listen to some current Haitian musicians on the National Geographic website.